Cricket ball stop net for enclosing cricket nets, pitches & gardens. Available in standard 20m x 1m size or custom sizing. This set of net & poles is ideal for enclosing cricket pitches, batting nets & garden borders. 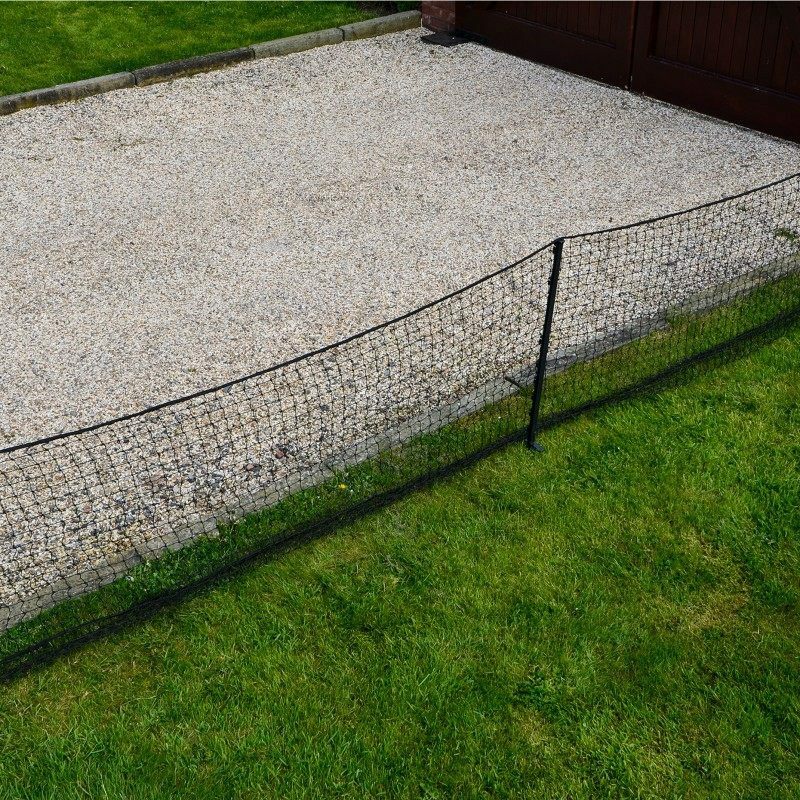 Used across many sports to keep balls inside boundaries, this high quality netting is designed to last and can also be used in the garden. The netting is full bordered to prevent fraying around the edges whilst extending its lifetime allowing you to continue playing for longer. Choose between a 20m x 1m cricket ball stop net, or select your own custom length – the choice is yours. It’s durable and fully bordered design protects its surrounds from unwanted collisions with the ball. 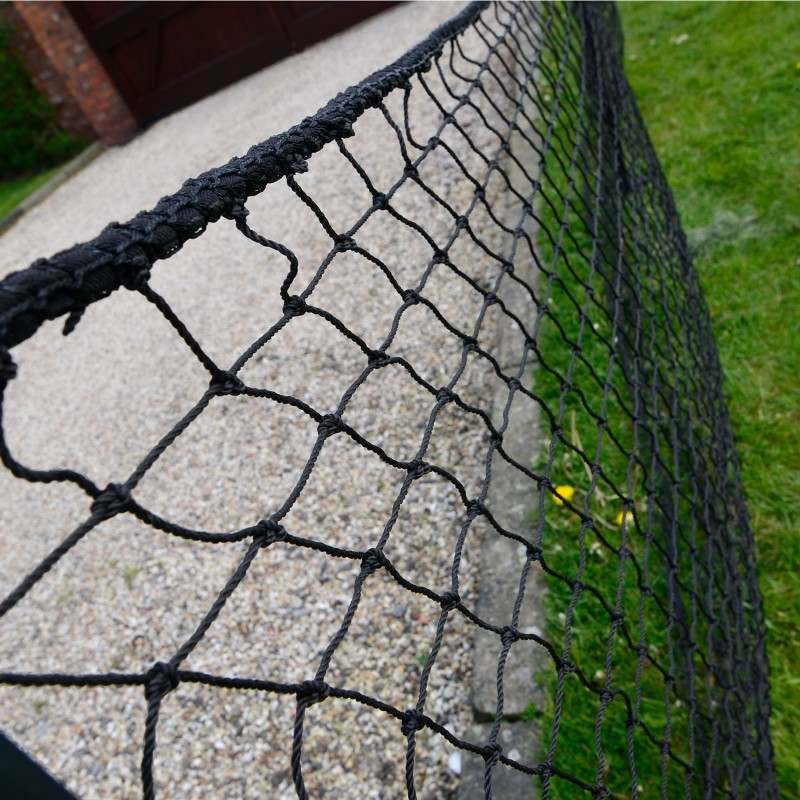 Huaxing Nets Co., Ltd offers a great range of sports netting for a variety of different sports. Suitable for many sports, as well as for home use, the cricket ball stop net will provide a boundary that nothing will be able to pass. Cricket ball stop net can either be knocked into the ground or can be used with ground sockets to make sure they are fully secured. At home both nets can be used to protect your prize flowers while the children are playing cricket. The poles are threaded through the netting to make it safe and secure and once the poles are in place the nets are secured by the insert cap. Cable ties may be required. Experts in the design and creation of outdoor basketball, cricket and sports recreation facilities. We manufacture a large range of sports netting to suit most commercial and public environments. We provide enclosed basketball and cricket practice facilities, creating excellent artificial pitch and match areas nationwide.